I personally started reading this series because of the hilarious description. I think it's rather funny and thus decided to give it a go. After the first few chapters I have only good things to tell about it and I think it's going to be a rather funny story. Normally I don't make reviews, but I have hit my limit with this one. First I will address the synopsis. It is funny how it states if you are reading other xianxia novels then you shouldn't read this. I am assuming they stated this because of its blatant plagiarism of another light novel. At first I thought this novel was somewhat interesting. Nothing spectacular, no in depth/surprising plots. Just decent. But then then the pointless harems arrived. Just by being the MC a female character will fall in love with... more>> him. Nothing needed to be done on his part. Full of logic and reasoning, not really. Ex.
. 3, 4, 6, and 7, it is your typical Xuanhuan plot, trash MC, etc. It seems to take some beast elements from Shen Yin Wang Zuo, and Long Live Summons! I do not see anything unique about this story. 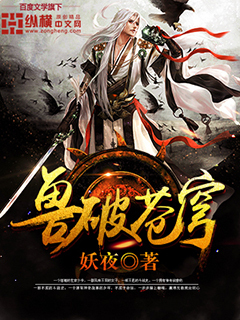 Way oversold in the description, it's only average wuxia with standard idiots as opponents and an author that'll take every opportunity he can to make him meet a new love interest, so far there's 3 of them (so a girl every 20 chapters in average...). That's why I hate harems, half the story revolves around MC's love dramas. The novel synopsis and conclusion somehow is too overbearing in my opinion, it was released in 2013.
welp probably at that year this novel is so good and praiseworthy, but now already 3 years gone, many good novel also came up. so I would suggest to give proper synopsis rather than this, because it might lead to great disappointment if the novel is not like what it's said. Not sure in future development of story will became good but as for now is nothing interesting, there is nothing that hooked me to... more>> read this novel. So!? I would suggest to read it later when the chapter already piled up, probably up to 40-50 or above. Because the story has slow development and short chapters, rather than waiting daily and feeling uncomfortable reading cliff hanger, might suggest read weekly for now if you're start reading from now. My honest first impression for this novel was... plain, cliche and lame joke. no wonder there is few people that rate 1 star. This is my first review, I'm still currently reading this as this review is up. First things first, the first 70 chapters is a bit the same old typical Xianxia tbh, because I was on last straw I forced myself to continue reading this novel. Lol. MC technically has 3 wives but their weddings were disrupted and another heroine who isn't introduced to the other heroines yet. They all are introduced in the first 70 chapters. Now the MC is about to start wondering the world with the 3 wives personally makes personally love the story, they aren't forgotten and useless. Side-characters: The author tries to 'squeeze' in the forgotten side-characters back into the novel. It SOMETIMES work but the other times it makes me feel nah it doesn't feel right the side characters will be forgotten again. The review may not be a good review, I do recommend people try reading the first 100 chaps in the book then you will see if it's good or not. *Side-notes* some of the chapters are not translated. The first chapter wasn't translated. Translated chapter 115 same as raw chapter 130's. The translator did an amazing job translating the chapters, I'm very thankful for that but please try not skip chapters, it will make the readers a bit confused. Before reading this its better to clarify that this novel is generic afk no great speciality and have similar concept with most of the novel with same genre so.. If that fine with you then. ... more>> This is Light-read novel which is quiet fun to read. If your a fan of IET's Coiling Dragon then you might consider reading this. But! However, Although I said Coiling Dragon, the novel that actually really reminds/relates me with this Novel was actually the DBWG (Dragon Blooded War God). you know, with integration and blood genes and all. And also despite this novel being heavily influenced by CD & DBWG or maybe it was just a coincidence (since I dont really know which novel was released first between the three). This novel doesnt have the same plot depth with CD and was really lightly written almost the same writing styles with WDDG (World Defying Dan God) and DMWG (Dragon Marked War God) and novels as such which really concentrates on being OP AND POWER UPS. Anyway despite all of that, This novel is really well-Written and Translated if you ask me. And despite feeling the harem romance a bit lousy, well hey, the most catchy part of this novel was the funny tricky MC. Although, his not as Funny as the dirty joke funny guys like Han Shou (GDK) and Shi Yan (GOS) and those funny Gods like Chu Yang, Jun Moxie and the Ye MC of the realm of the firmament. Atleast its not as cliche like those detach and Cold, indifferent stiff Mc's which was all over the place right?. The way everything starts is not bad... but the MC is completely shameless and naive. Trickster? More like shameless! You can effortlessly tell the comedy feels forced too. The ideas the Author comes up with are good but he adds to many unnecessary Arcs and things. The Author seriously keeps exaggerating over Prostitutes. Do you love them that much? Even the Mother was one! As for the Romance... its pretty bad. The Characters feel really bland. Quin Wu was the only character with good potential! But the Writer does not make... more>> good use of her. If you plan on reading Beast Piercing The Heavens, I'd suggest to first ignore the description given above. I don't know about point 5 and 7 because it's early days yet, but for all of the others can be summarised as the usual xuanhuan mix. This novel tells the story of a trash-at-cultivation young master who had lost his parents and was bullied by his family. He later got his hand on some stuff that helped him to contract an awesome beast and speed up his cultivation. 2 stars because as bad as this story is, it's still better than jap stories. Sigh, where to begin. First off this story is a straight 1:1 ripoff of Coiling Dragon, as far as world details go. The 5 families with a special bloodline who can activate an ability to defeat people stronger than them. The MC's bloodline allows him to "beastform" aka dragonform. MC has a magic ring that helps him stay alive. The evil manipulating Radiant Chur- er I mean Immortal City thing. Saint is the 10th level, presumably... more>> the MC will then leave his world and go past the Saint level. Secondly, the authour is bad at writing dialogue. Like "Hey this is my first story" kind of bad. Characters talk too frequently, and say too much. It gets really annoying once you realize this, because then that broody guy who just kills people and trains talks like everyone else in the story "Anyways, oh I'm so sorry gosh." Literally. They literally talk like that. Third: I'm writing this because I got to around chapter 140. The characters are just too stupid. MC gets completely f**ked over by his clan, just shrugs and goes "Oh I guess that's okay." Human army vs allied enemy army. Enemy army defends a mountain peak that's surrounded by 3 cliffs and has a small road as the only entrance. Human army says "We must win!" and attacks. And of course fails. Over, and over, and over again. Literally losing almost a thousand people and killing: a dozen. F**king. Retarded. I think it should be rated as 2.5, it is a rather average story (or even bellow average). The fake review from the chinese site (that was obviously written by the author) only makes it worse, as it raises our expectation. His explanations arent really that good, and MC`s personality isnt well defined..
And btw, how can someone rate a novel when they have only read 3 chapters ? Don't walk away from this novel having a low score of 3.6. Having read the majority of Light Novels at 100+ chapters, the current score of 3.6 feels low compared to other some of the other novels that have a higher score. Some of the best things about this story are actually what is left out... and what the author replaces it with. ~ Skips the typical 5 year old OP... more>> kid who is already in blood soak battles. Having said that, there are some bads... It can be summed up by saying that the story wasn't fully drafted, compiled and refined to the point of becoming a masterpiece. - Some introduced details that would be interesting seem to be forgotten by the author along the way. - MC switches between being smart, cunning and mature to being naive, and neglecting his own suspicions. -Fairly typical 'trash to murdergod due to cheat' story. Take it or leave it. Not terribly written though, and there are no signs of fake morals get annoying when broken later in this genre (he starts off using a brick in a duel against the young master of his family). So far in my reading, his only morals are 'don't mess with my (immediate) family and don't mess with me either'. -Cultivation gimmick: The people of his clan can summon... more>> beasts to fight alongside them. These beasts can also fuse with them, leading to temporary higher cultivation and appropriate physical abilities (ie- fast animals make you fast, tough animals make you tough). Of course he gets best beast (but hidden best beast, because 'trash'). Also, item cheat. -And surprisingly, it was good. The beginning get's you interested after the first chapter, and although the story is slow, there are a lot of dynamic scenarios at first. Problem lies with some non-believable interactions/occurrences. Like the MC leaving his sister behind as he goes training- unprotected and alone; even though, just recently (literally hours before), his sister was 'molested'. There is also the occurrence of him constantly valuing his life and trying not to take risks, but suddenly, without proper testing, puts his life on the line with a new cultivation technique, whilst hoping some ancient ring will cure him for nothing in return. I would have also preferred if the novel wasn't like many others I have unfortunately come across, in which the day was saved because of the MC obtaining this awesome power which then enabled the top leader of his/her clan to look favorably on him, and forgive all his transgressions. And that's not including the stereotypical lower elders that all seem to hate/disdain him. In real life, elders of their age would think and act differently. But the way the author wrote it is as if they had mob mentality, and were all selfish and stupid, power hungry and narrow minded. For such a powerful clan they are claimed to be, It makes no sense. Your usual Xuahuan trope. Trash MC, godly artifact, OP ness, stupid one dimensional antagonists, and no logic. But the storyline is good. You have background, you have some tragic motive and overall its interesting. The beast integration is new. So waiting further, will be following it, and also keeping fingers crossed that it does not go down the path of CD or ST.